Product categories of Ground Screw, we are specialized manufacturers from China, Ground Screw, Ground Screw Pile suppliers/factory, wholesale high-quality products of Screw Pile R & D and manufacturing, we have the perfect after-sales service and technical support. Look forward to your cooperation! Honde Ground Screw come from Hebei Province of China. It is very popular with all over the world and some Screw Piles are named [famous screw piles" in Russia, Europe, Thailand and so on. Honde ground screw as one type Ground Anchor is screwed to the ground by machine or wrench according to the spiral concept of ground screw, which is very convenient, effort and efficiency, It also has strong penetration effect for surrounding soil. 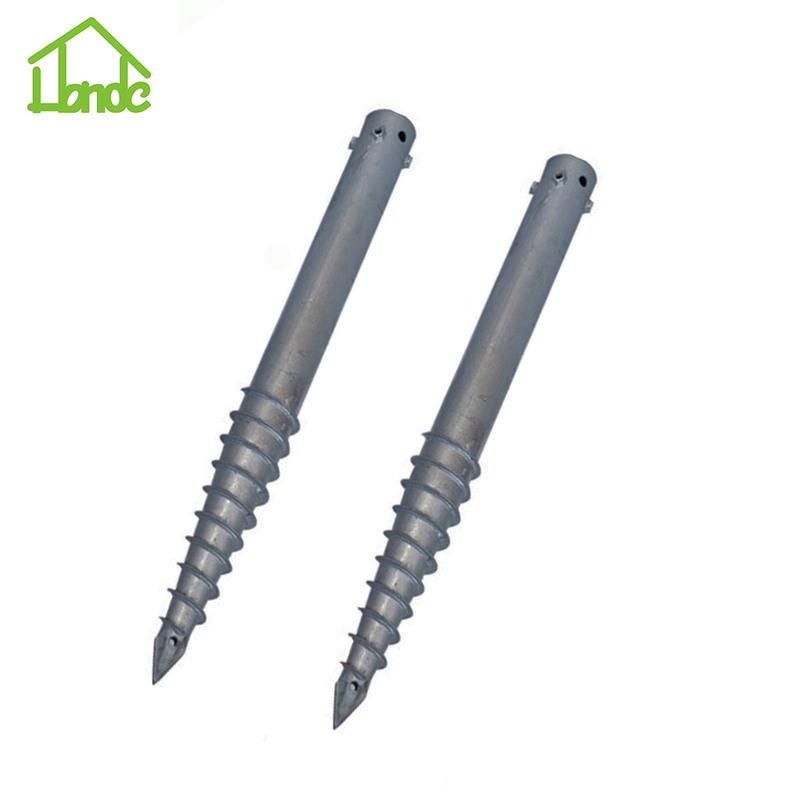 In addition, Honde ground screw can be applied to kinds of aspects, such as Solar Ground Mounting System, construction projects, home/garden decoration, farming fence, fence netting and kinds of hardware.